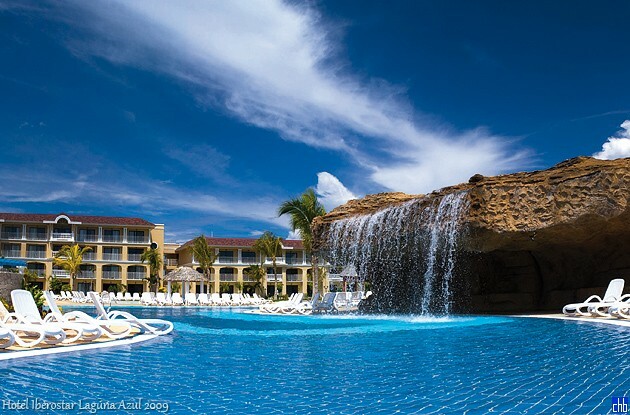 Hotel Iberostar Laguna Azul is a newly built 5 star property in Varadero. The 814 rooms hotel stands right next to Sirenis la Salina hotel and started its operation in June 2009 with 490 rooms. Laguna Azul belongs to Iberostar chain that is very well known for their great hotels and prides themselves on high quality service. Along with typical Iberostar amenities this new hotel will include a piano bar, fun pub, 5 restaurants, 5 swimming pools, SPA, mini-club for kids age 4 – 12, sports and live entertainment – everything you need for an enjoyable beach holiday in Cuba. Because of its great location and facilities Hotel Iberostar Laguna Azul is an ideal place to spend your family holiday or have an unforgettable honeymoon! 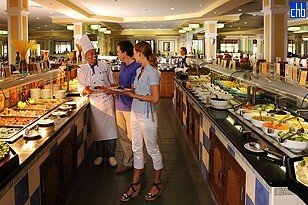 Hotel offers 790 spacious standard rooms including 8 rooms with wheelchair access. All rooms are equipped with modern furniture and facilities and have a balcony or terrace. Hotel offers 24 suites. 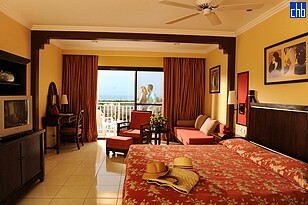 All rooms are equipped with modern furniture and facilities and have a balcony or terrace.